Glamifornia is all about beauty, wellness, fashion and art. Our favorite way to bring these elements of California Glamour to our beautiful home in Malibu, California is with our monthly First Friday celebration at the Glamifornia Style Lounge! 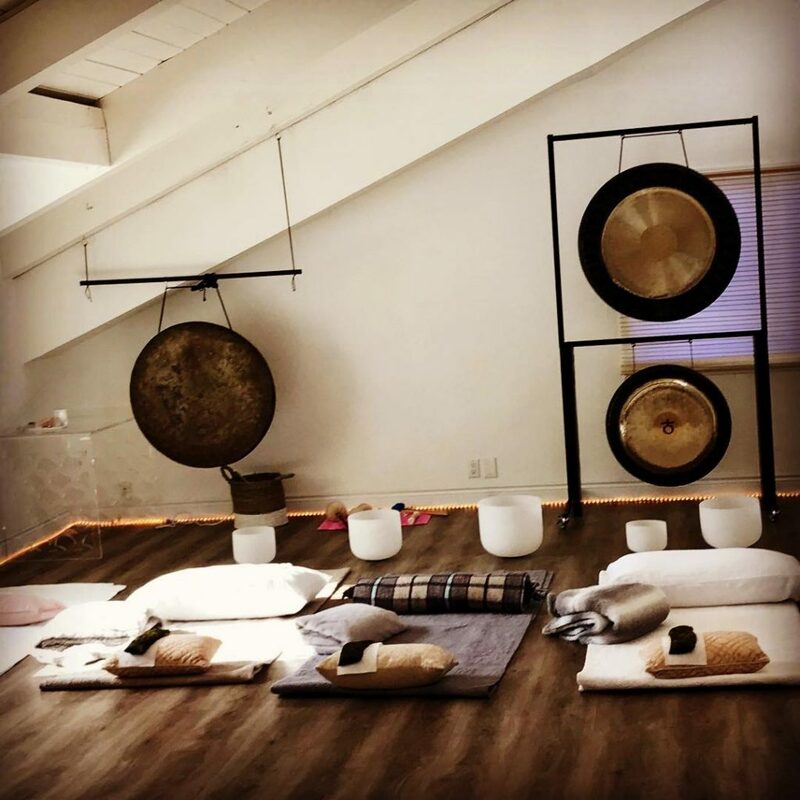 This January, we represented #malibustrong wellness with gratis healing Sound Baths by musician Lucia Lilikoi. Healing through sound has been used to treat pain, restore the nervous system, and release trauma for centuries. From ancient Greece and Egypt, to India and the Americas, sound has been instrumental in medicine. 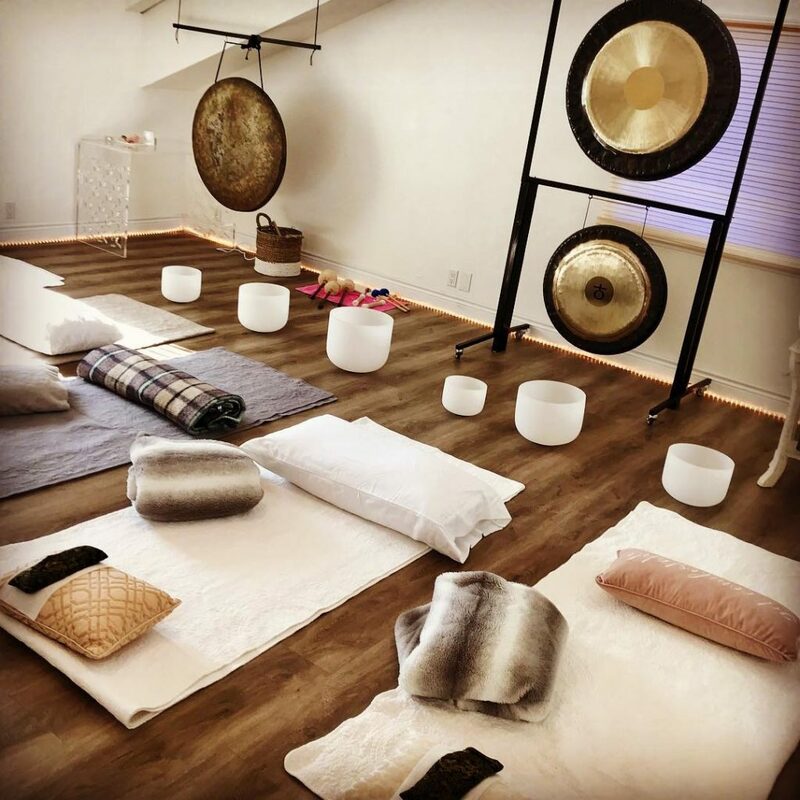 Lucia uses her voice (mantras, chants, channeled music), Tibetan and crystal singing bowls, her medicine drum, koshi bells, percussion, kalimba, uke, guitar, and other instruments to create an experience conducive for deep relaxation and journeying. The person receiving lays in a restorative pose, to allow for the nervous system to get attuned and recalibrated. The sound frequencies work on the subtle body, bringing harmony to body, mind, and soul. We are so grateful for our incredible community and Glamifornia’s talented artists. And we were blown away by the synergy we have created to bring good vibes and strength to our friends and neighbors this new year! We welcome you to experience total Glamifornia self care at future Yoga and Soundbath sessions at the GSL and all the First Fridays to come, and meet our beauty and fashion pros who are experts in the latest makeup tips and looks. Try our featured vegan and organic beauty and wellness products. And, of course, visit our stylist’s for short hairstyles, hairstyles for women, our signature shine treatment, the best hair color, and more all customized to your unique style.